Rooted in Virginia Tech’s motto Ut Prosim (That I May Serve), The Big Event at Virginia Tech is a student-run community service effort that has grown into the 2nd largest event of its kind in the nation over the past 18 years. Every spring, thousands of students, faculty, and staff come together to complete hundreds of community service projects throughout Blacksburg, Christiansburg and the New River Valley. 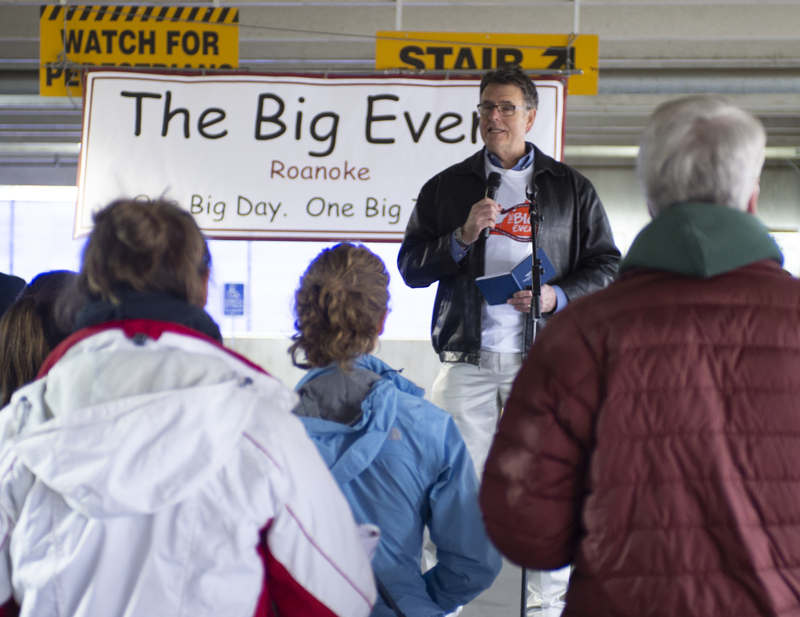 Last year, we celebrated the extension of The Big Event at Virginia Tech to Roanoke. As the Virginia Tech Health Sciences and Technology campus in Roanoke continues to grow, we are continuously humbled by the appreciation and enthusiastic support from the Roanoke community. The Big Event at Roanoke is an opportunity for graduate and medical students, faculty, and staff to build relationships with and serve the community which supports us. Projects will be completed regardless of need or socioeconomic status; instead it is The Big Event’s goal to simply say, “Thank you,” to the Roanoke community. Thank you to all community members and volunteers for making Roanoke’s first Big Event on April 7th, 2018 a huge success! This year’s Big Event is on April 6th, 2019! Volunteer registration is now open! Click on the button below to sign up to volunteer in Roanoke. We welcome non-VT-student volunteers as well! Submit your Roanoke job request online by clicking the button below. Examples of previous projects include yard work, painting, cleaning, and serving food. We would be happy to consider any other ideas you might have! Projects should last no longer than 4 hours and must not involve power tools. If needed, tools may be provided by The Big Event. TBMH Graduate Student Meet one of the Roanoke Co-Directors of The Big Event for 2019, Gabby Carrillo. 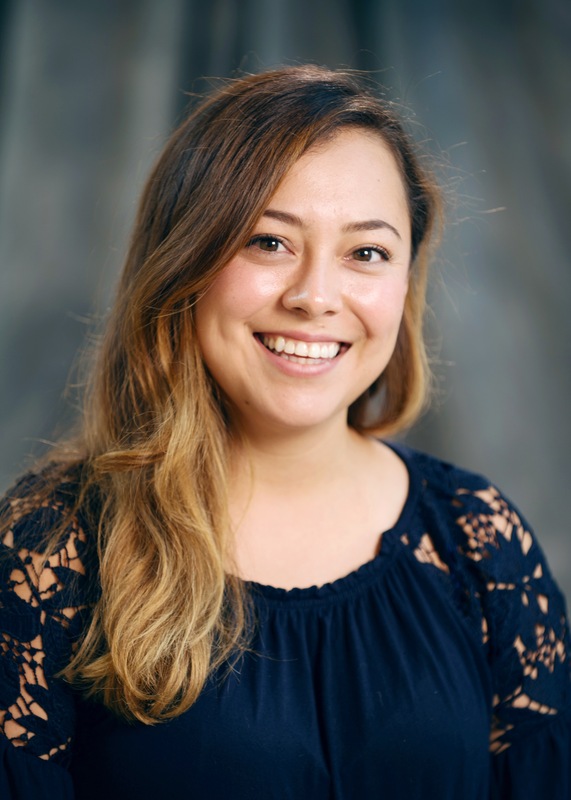 Gabby is a 2nd year PhD student investigating how parasitic infections disrupt circuitry in the brain. She is from Southern California. An interesting fact about Gabby is that she climbed Mt. Fuji in a typhoon, and hopes to climb it again! When she’s not doing the Big Event or in the lab, she likes to take part in STEM outreach and mentoring programs. VTCSOM Medical Student Meet one of the Roanoke Co-Directors of The Big Event for 2019, Awaiz Khan. Awaiz is a 3rd year medical student and is applying to emergency medicine residencies. He is from Pittsburgh, Pennsylvania. An interesting fact about Awaiz is that he was born in England. In his free time, he likes to play the ukulele and enjoys bird watching. VTCSOM Medical Student Meet one of the Roanoke Volunteer Outreach Co-Directors, Natalia Sutherland. 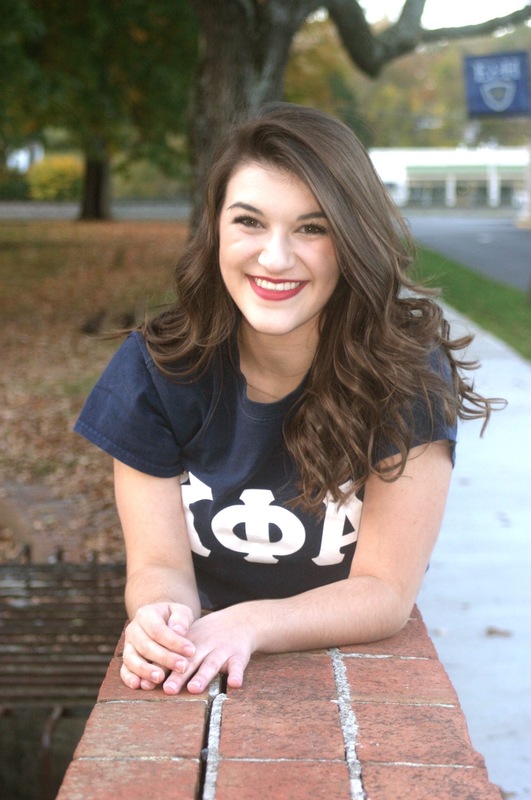 Natalia is a 1st year medical student interested in internal medicine and emergency medicine. She is from Galax, Virginia. A fun fact about Natalia is that she helped host a TEDx talk at her undergrad institution. Her favorite hobbies are reading and knitting! TBMH Graduate Student Meet one of the Roanoke Volunteer Outreach Co-Directors, Rachana Somaiya. 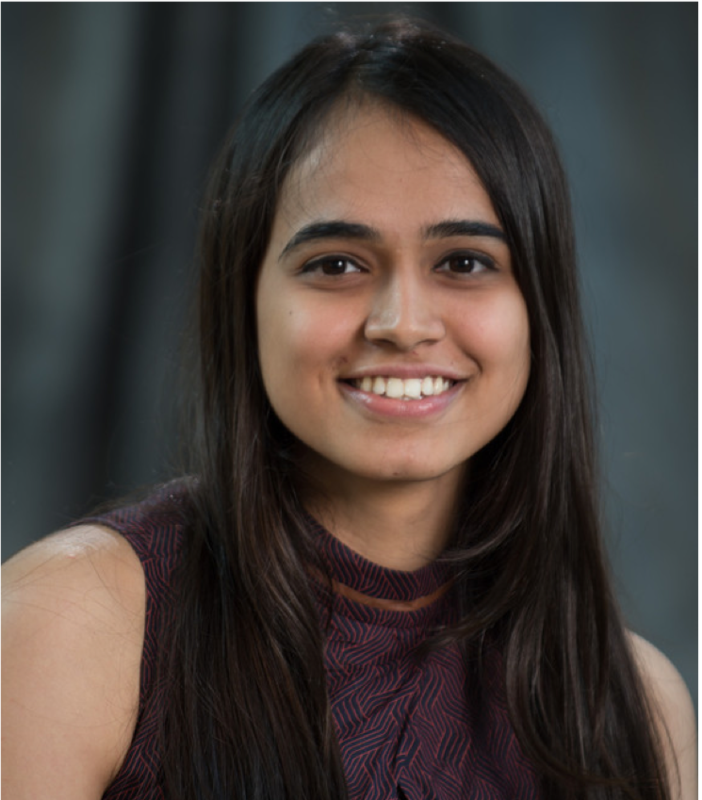 Rachana is a 2nd year PhD student studying the neurodevelopment of circuitry between the retina and brain that allows for proper vision. She is from Mumbai, India. A fun fact about Rachana is that she loves animals, but is terrified of goats. When she’s not in the lab, she loves learning choreographed dances to her favorite songs. 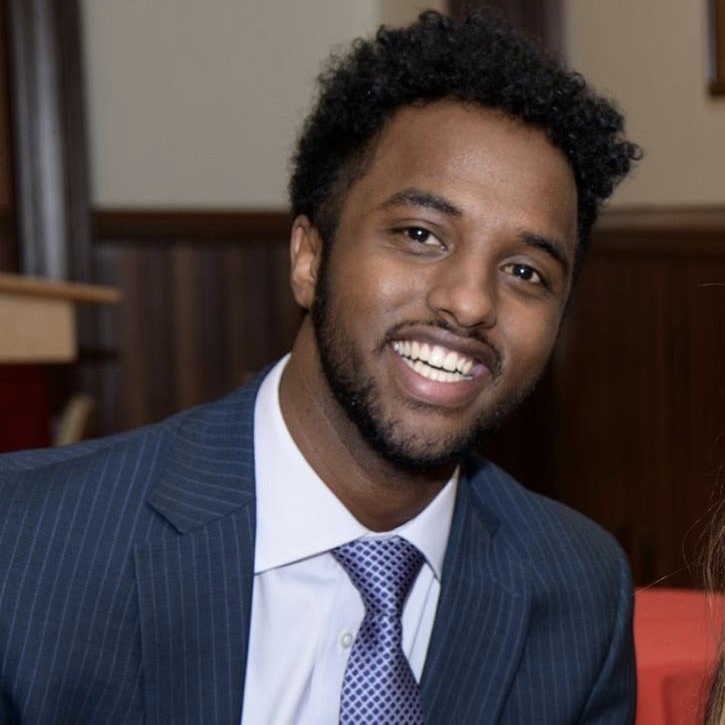 TBMH Graduate Student Meet one of the Roanoke Logistics and Programming Co-Directors, Hassan Farah. 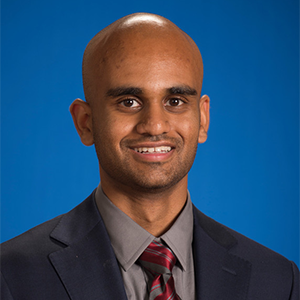 Hassan is a 1st year PhD student interested in advancing neurorehabilitation treatment techniques. He is from Tuscan, Arizona. An interesting fact about Hassan is that he once managed to ride his bike 2 miles continuously without using his hands (he was eating pasta). In his spare time, he loves to play soccer (weather permitting). He is looking forward to teaching himself to play the piano. 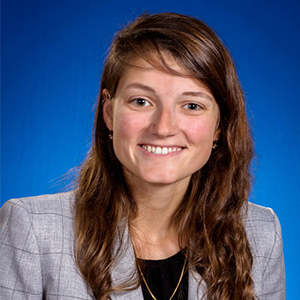 VTCSOM Medical Student Meet one of the Roanoke Logistics and Programming Co-Directors, Miranda Gerrard. Miranda is a 2nd year medical student interested in working with kiddos. She is from Indiana. A fun fact about Miranda is that she has cows. Her favorite hobby is horseback riding! A huge thank you to VTC Fralin Biomedical Research Institute and the wonderful staff for donating their time and resources to make The Big Event in Roanoke a possibility!